The Donald Trump Administration has thankfully eradicated another Barack Obama Administration legacy liability. The Obama Administration was the most proactively anti-energy presidency with which We the People have ever been afflicted. It really wasn’t all that quiet. Or subtle. Or self-aware. Then cometh the Trump Administration. Thank God. There are a lot of people to thank. None of them is Barack Obama. This oil revolution is excellent news – for a variety of national and international reasons. More jobs created. Money generates activity – and activity requires paid people to engage in it. The US leading the world in oil production – is a whole lot better than…less pleasant places like Russia or anywhere in the Middle East doing so. For us – and the rest of the reasonable planet. 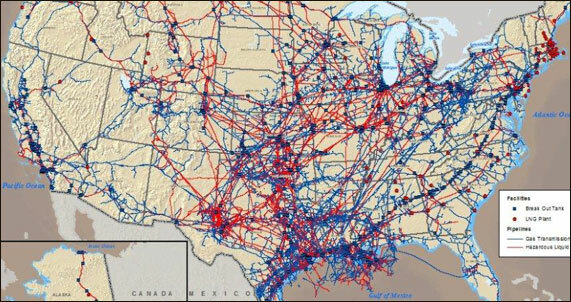 As Reality tells us – oil requires pipelines to get around. As Reality has demonstrated – we can build thousands of the things nigh completely free from environmental impact. Pipelines are, in fact, the most environmentally-friendly mode of petroleum transportation. Unfortunately, as we have seen time and time again, the Left is adroit at locating awful, anti-law Leftist judges – so as to block the perfectly legal and safe building of said pipelines. In case you weren’t sure – Dr. Seuss was never a legislator. He wrote children’s books – which explains these judges’ childlike thinking. Unfortunately, their abuse of their positions, the law and We the People – is full-grown. The Atlantic Coast Pipeline – is a necessary next step in the ever-necessary, never-ending steps forward in our continued energy leadership. Just as President Trump in 2017 approving the Keystone and Dakota Access Pipelines – after Obama long blocked them – were important steps towards our again taking the global petroleum lead. If you ain’t moving forward – you’re moving backward. For those who succumbed to government schools – the state of Virginia is on the Atlantic coast. So the Atlantic Coast Pipeline – travels through Virginia. Disinterested parties to be sure. They who pay the piper – call the crooked tune. The Left’s fake energy math – isn’t any better. Why Is Renewable Energy So Expensive? Why Do Federal Subsidies Make Renewable Energy So Costly? Meanwhile, how’s real energy doing? The trip to our outstanding current global energy leadership – is made up of thousands of steps. One of these necessary next steps – is the Atlantic Coast Pipeline. We need to disregard the ever-incorrect Left – and do what President Trump has been doing. Taking these necessary next steps.